If you’ve been searching for a simple detox recipe that tastes amazing then consider making this kale and ginger detox smoothie with blueberries. Each of the ingredients combine with each other to make for a tasty and vitamin-packed treat that goes down real nice. You’ll taste a perfect creamy balance of sweet warm flavors that is sure to leave you satisfied and feeling refreshed. Gather all of the required ingredients below and then follow the instructions carefully to make this healthy detox smoothie in just minutes. 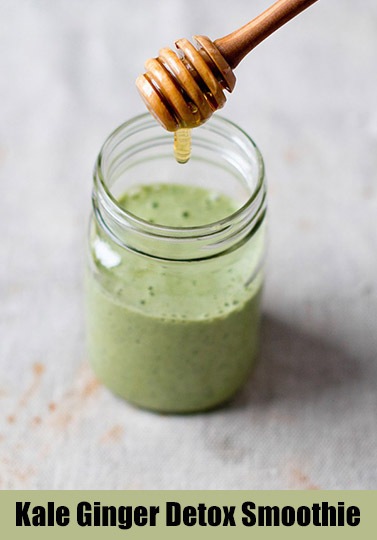 Total prep time for the Kale-Ginger detox smoothie is around 2 minutes! 1) Add all ingredients into a blender and blend until completely smooth. 2) If necessary, add more almond milk to help your blender process the frozen fruit. 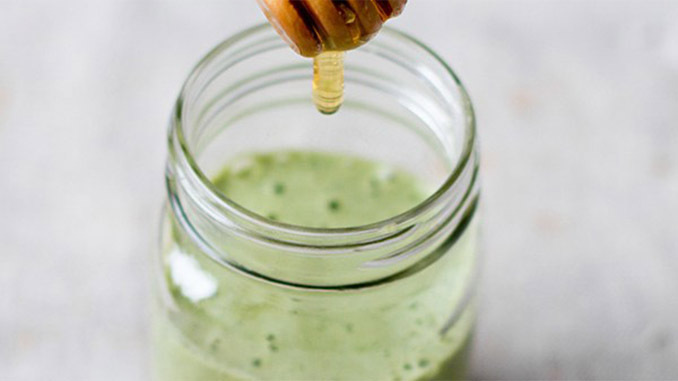 This yummy detox drink is packed with healthy ingredients to make you feel clean and reset. Once your prepping is complete the total time to make this kale and ginger smoothie is only about 2 minutes total. The recipe above will make 1 large smoothie. You can also feel free to make more and store individually sized portions in your fridge or freezer to quickly snack on anytime in the future!